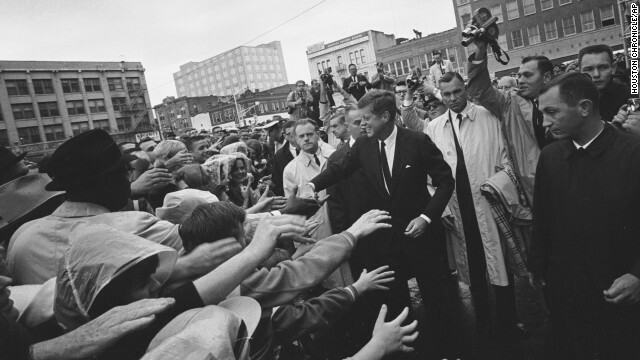 President John F. Kennedy greets supporters during his visit to Fort Worth, Texas, on Friday, November 22, 1963. 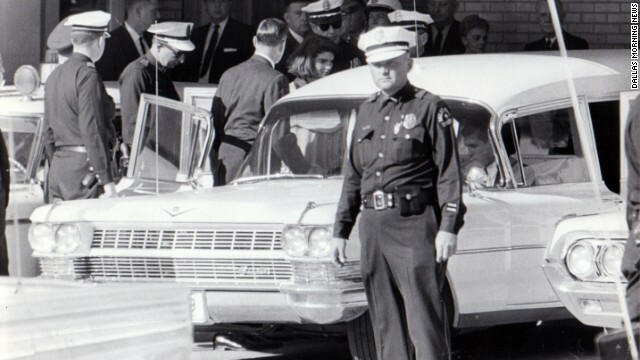 This year marks 51 years since his assassination in Dallas, an event that jarred the nation and fueled a multitude of conspiracy theories about whether Kennedy was killed by a single gunman acting alone in the Texas School Book Depository. Here are some images from that fateful day as it unfolded. 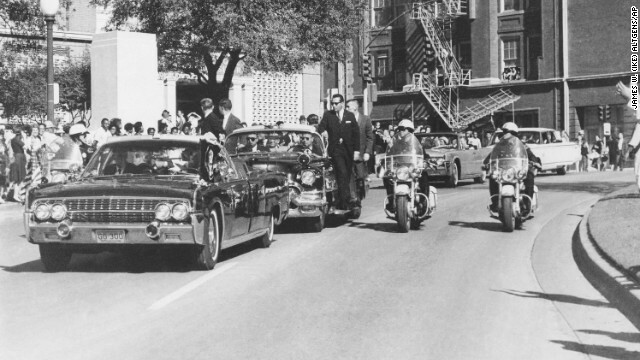 Crowds line the street as Kennedy's motorcade heads toward downtown Dallas. A group of White House staffers follows the motorcade in a bus several vehicles behind the presidential limousine. Dallas Police Officer Bobby Hargis, background, is one of four motorcycle officers assigned to Kennedy's car, which reaches Houston Street shortly before 12:30 p.m. "I thought, 'Well, we've got it made now,' " Hargis said. "And then bam! It happens." 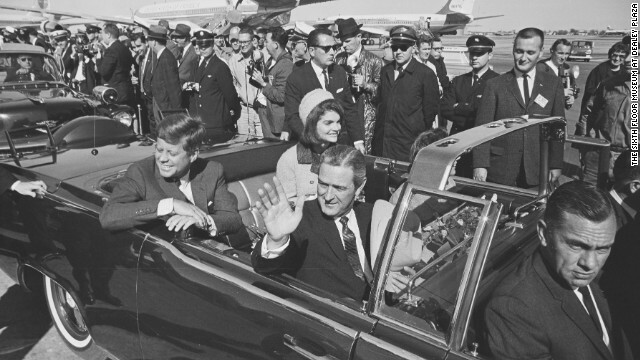 Seen through the limousine's windshield as it proceeds along Elm Street past the Texas School Book Depository, Kennedy appears to raise his hand toward his head after being shot. 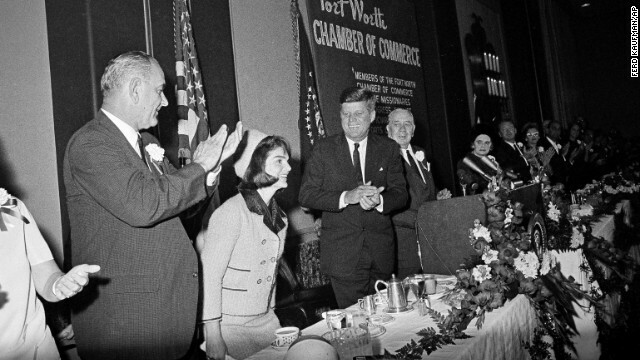 The first lady holds Kennedy's forearm in an effort to aid him. 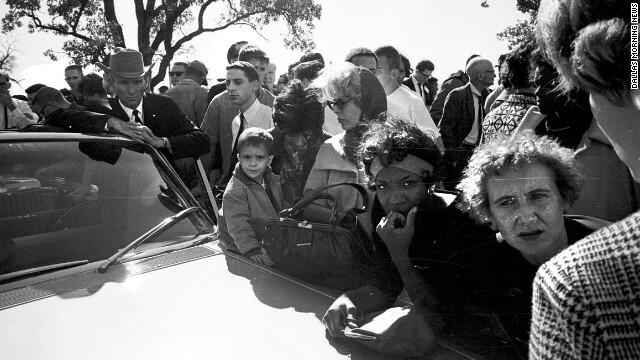 Hurchel Jacks, Vice President Johnson's driver in the motorcade, listens with others to news accounts on the car radio outside the Parkland Hospital emergency entrance. 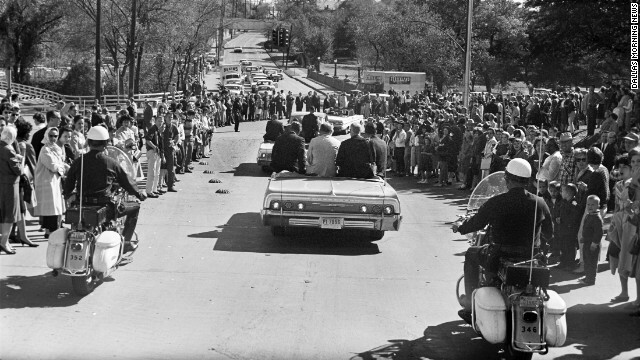 After the shots were fired, Jacks had rerouted the vice president's car to safety. 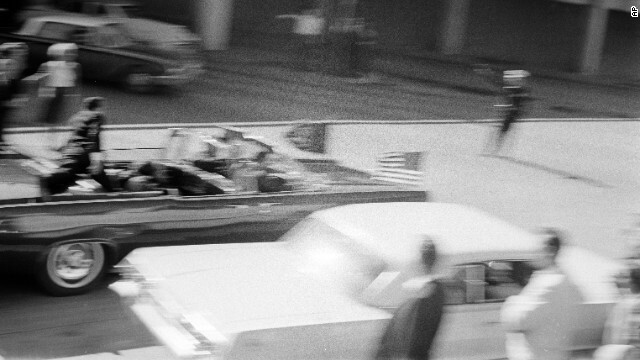 The ABC radio network broadcast the first nationwide news bulletin reporting that shots have been fired at the Kennedy motorcade. Before 1 p.m., Dr. Tom Shires, with Parkland public relations director Steve Landregan, rear, describes the President's wounds to the press. 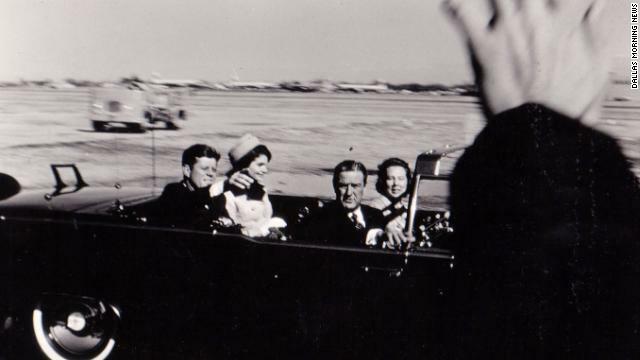 Four doctors worked on the stricken Kennedy in the emergency room. 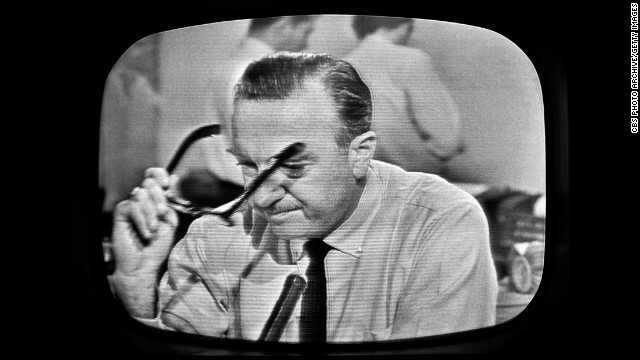 American broadcast journalist and anchorman Walter Cronkite removes his glasses and prepares to announce Kennedy's death. CBS broadcast the first nationwide TV news bulletin reporting on the shooting. 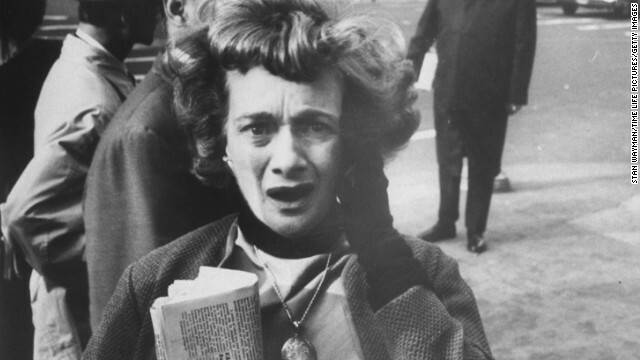 A photographer captures a New Yorker's expression of shock upon hearing the news. At 1 p.m. the 46-year-old President of the United States is declared dead, becoming the fourth U.S. president killed in office. 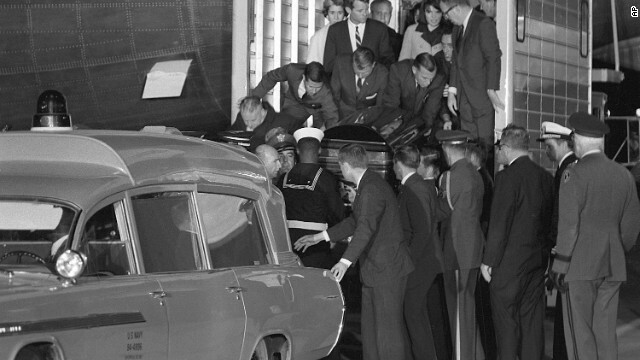 After 2 p.m., Jacqueline Kennedy leaves Parkland Hospital with her slain husband's body. She would ride in the back with the bronze casket. "I had a feeling that if somebody had literally fired a pistol in front of her face that she would just have blinked," said Dallas Police Officer James Jennings, who helped put the casket in the hearse. 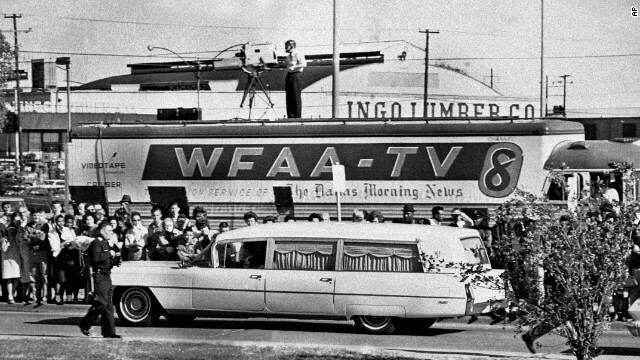 The hearse carrying Kennedy's body pulls away from Parkland Hospital en route to the airport. 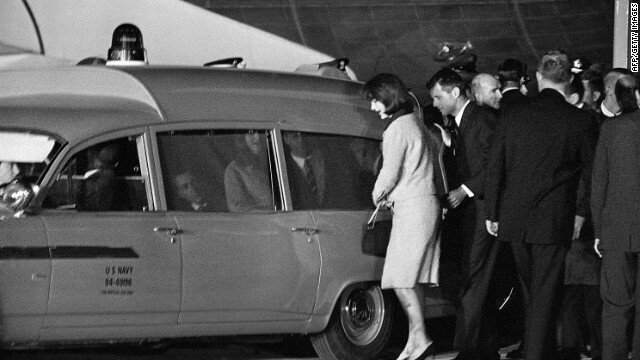 Jacqueline and Robert Kennedy get into the Navy ambulance with the president's body at Andrews Air Force Base, just outside Washington. The body of the president is taken to Bethesda Naval Hospital for an immediate autopsy. 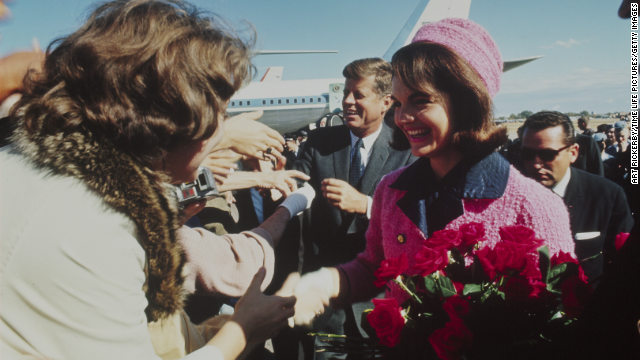 Editor's note: How well do you know the '60s? Take our quiz and find out. 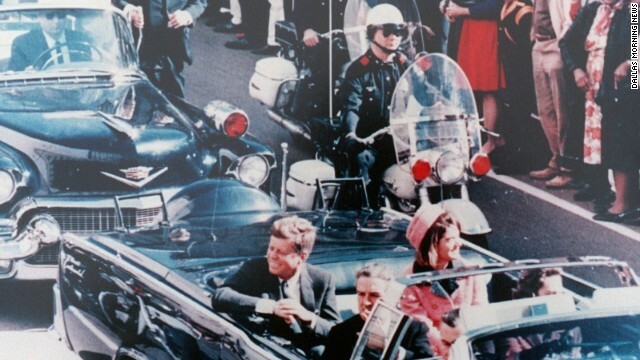 (CNN) -- This year will mark 51 years since President John F. Kennedy was assassinated in Dallas on November 22, 1963. 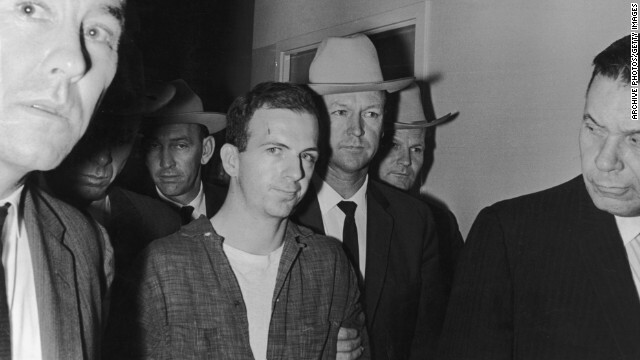 Whether you were alive at the time or not, you probably know that Lee Harvey Oswald killed the President, only to be fatally gunned down by Jack Ruby two days later. 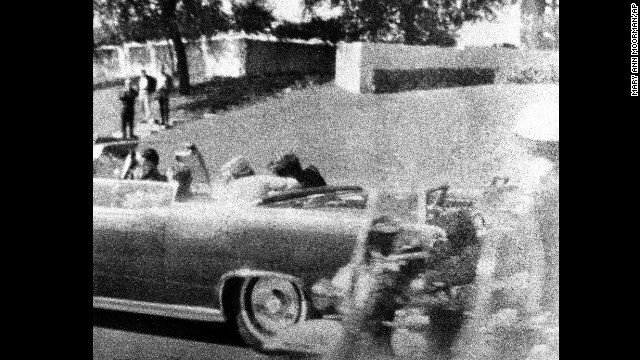 You probably also know there are hundreds of conspiracy theories about who was behind the assassination, and whether Oswald was the lone gunman or if there was another shooter on the infamous grassy knoll. 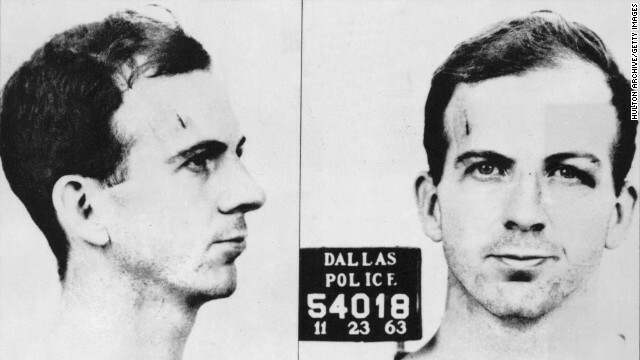 Mugshot of Lee Harvey Oswald, November 23,1963. 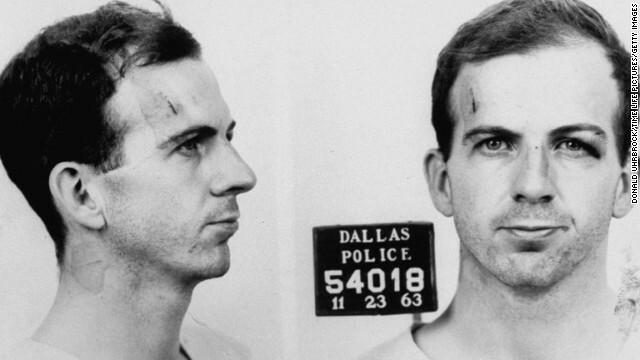 Lee Harvey Oswald was actually arrested for fatally shooting a police officer, Dallas patrolman J.D. 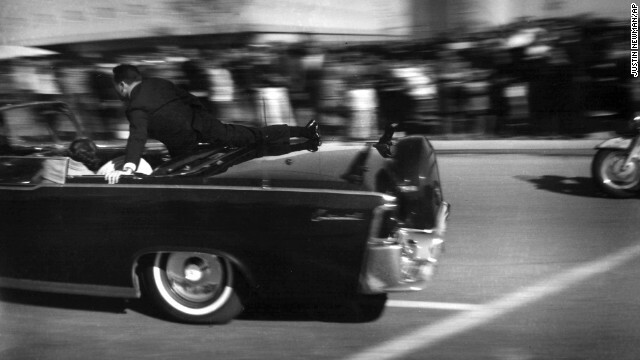 Tippitt, 45 minutes after killing Kennedy. 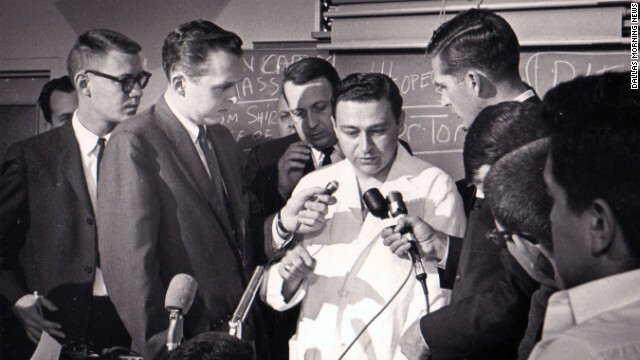 He denied killing either one and, as he was being transferred to county jail two days later, he was shot and killed by Dallas nightclub operator Jack Ruby. 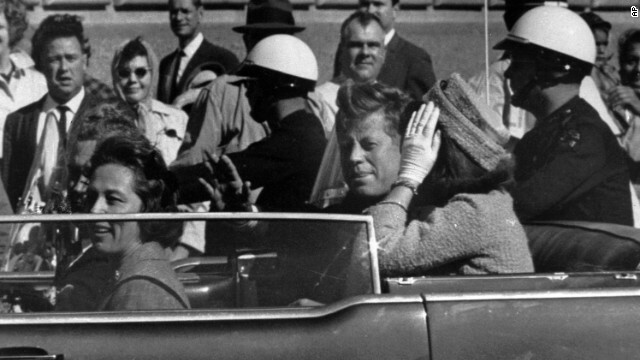 President John F. Kennedy moments before he was assassinated on November 22, 1963, in Dallas. Despite the assassinations of three U.S. presidents -- Abraham Lincoln, James Garfield and William McKinley -- killing or attempting to harm a president wasn't a federal offense until 1965, two years after Kennedy's death. 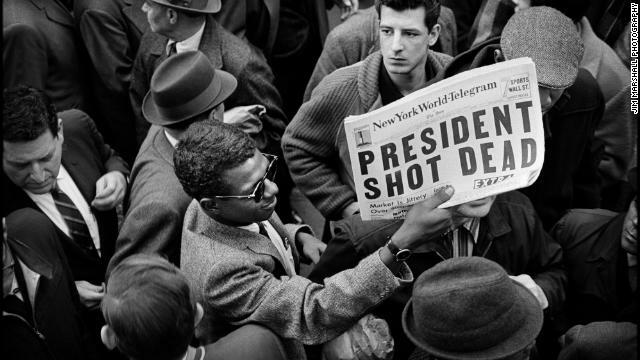 The NBC News Bureau covers the assassination of Kennedy. 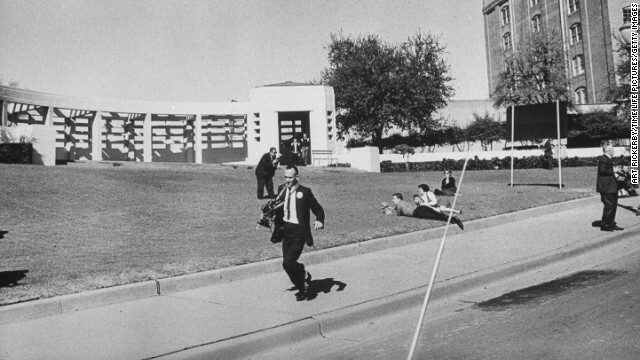 On November 22, 1963, at 12:40 p.m. CST -- just 10 minutes after President Kennedy was shot -- CBS broadcast the first nationwide TV news bulletin on the shooting. 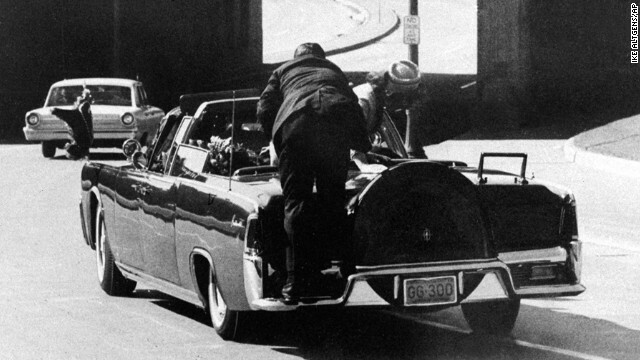 After that, all three television networks -- CBS, NBC, and ABC -- interrupted their regular programming to cover the assassination for four straight days. 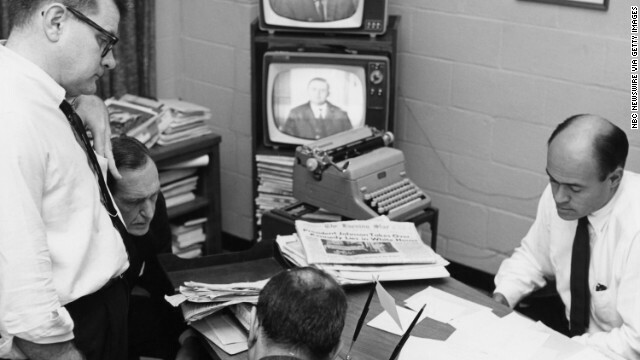 The JFK assassination was the longest uninterrupted news event on television until the coverage of the September 11 attacks in 2001. 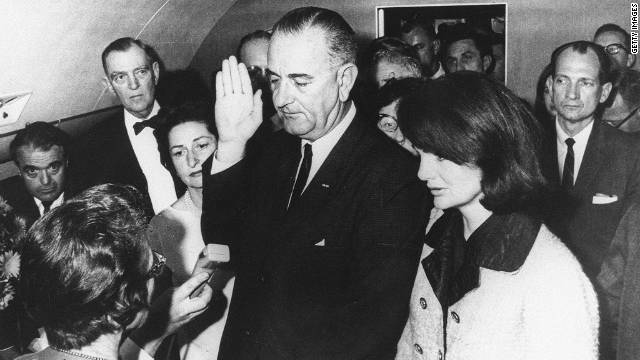 Sarah Hughes, lower left, became the only woman to preside over a presidential oath when she swore in Lyndon Johnson. 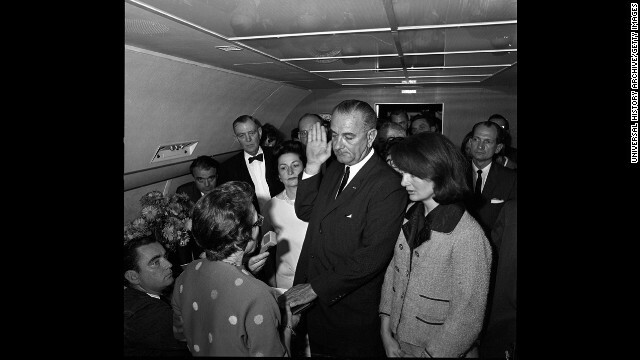 Hours after the assassination, Vice President Lyndon Johnson was sworn in as president aboard Air Force One, with Jacqueline Kennedy at his side, an event captured in an iconic photograph. Federal Judge Sarah Hughes administered the oath, the only woman ever to do so. Edwin Walker organized protests against the racial integration of University of Mississippi in September 1962. Eight months before Oswald assassinated JFK, he tried to kill an outspoken anti-communist, former U.S. Army Gen. Edwin Walker. 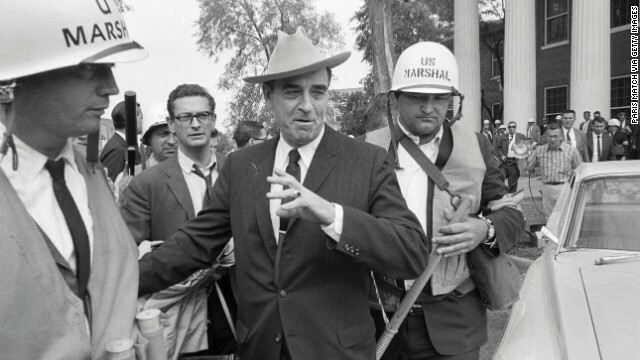 After his resignation from the U.S. Army in 1961, Walker became an outspoken critic of the Kennedy administration and actively opposed the move to racially integrate schools in the South. 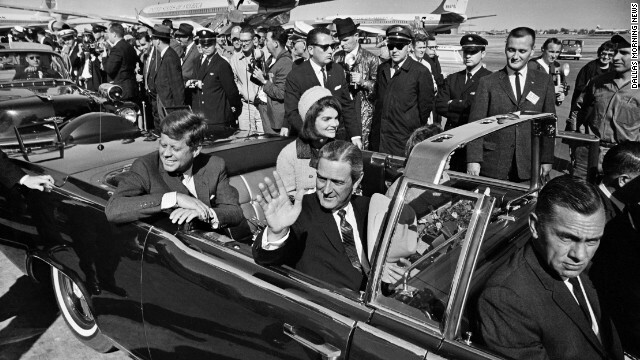 The Warren Commission, charged with investigating Kennedy's 1963 assassination, found that Oswald had tried to shoot and kill Walker while the retired general was inside his home. Walker suffered minor injuries from bullet fragments.